Have you ever lost anything? Yours keys? A favorite pair of jeans? Your phone? One of the most discouraging things we face is having something and then losing it. It's frustrating to forget things but the older I get the more I see that forgetfulness taking ahold of me. Have you ever opened the refrigerator and forgot whether it was to get something out or put something in? That's crazy isn't it? The Bible talks about the gifts God has given us and the calling He has placed on our lives. They are beneficial, precious and a huge part of our personal success in this life. And what God said about those gifts and that call in Romans 11:29 was that they would never be withdrawn from us. 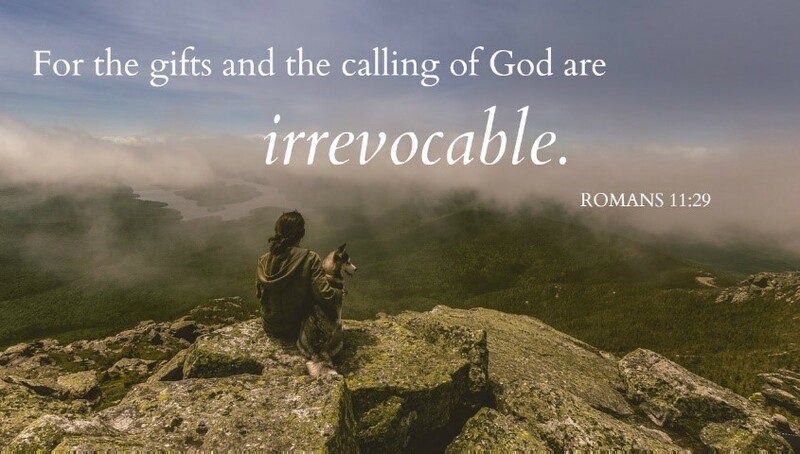 The gift and calling of God is irrevocable. You can't lose the gift of God that's in you! It's yours forever! So today take comfort in the assurance that what God has put in you is there to stay. You aren't going to lose it. In fact He wants you to use it. And know this: He will finish the work in you that He has begun!